That’s right; most of you isn’t even really you. In fact, between 2 and 6 pounds of your weight is actually just bacteria. Feel free to factor that in next time you’re on a diet. Scientists have discovered that there are small deposits of magnetite in human brains. While they’re not 100% sure why, a leading theory is that the magnetic crystals aid our sense of direction by drawing upon Earth’s natural magnetic fields. Similar deposits can be found in the brains of homing pigeons, dolphins and bats, who all use magnetic fields to navigate. The muscle that moves your jaw up and down (called the masseter) exerts more pressure than any other muscle in your body — up to 200 psi on your molars! However, we still wouldn’t recommend trying to chomp through a jawbreaker. You might not be able to run faster, but you can run farther! Human bodies are perfectly engineered for running long distances, and it’s believed we evolved this way in order to hunt more efficiently. In fact, this type of hunting — called Persistence Hunting — is still practiced by hunter-gatherers in Southern Africa. You can see a video of the process here. There are a few other primates who can toss objects, but humans are the only animals who excel at accurate, high-momentum throwing. Some scientists argue that our ability to throw is very much responsible for our success as a species, as it gave us a way to kill strong animals from a distance. Today it comes in handy as a way to play fetch with your dog. That’s right, GOLD! However, it’s only 0.2 milligrams of gold, which by today’s standards will net you…less than a cent. But still. It’s real gold. In fact, there are a lot of valuable chemical elements floating around your body, including Rubidium, Boron and Scandium (all valued at thousands of dollars per kilogram). All together, the chemical elements of an average human body are worth about $160. Of course you know that your fingerprints are unique but, as it turns out, the shape of your ears is, too! Biometrics developers are working on ways of implementing this knowledge in order to easily identify individual people in crowds from CCTV footage or to take attendance in a classroom. If you’re looking for a way to evade this new technology, we recommend wearing a hat, or maybe investing in some Spock ears. And Your Tongue Print Is, Too! Both the shape and the pattern of bumps on your tongue are entirely unique to each individual. In fact, both your teeth and the bacteria in your mouth are also unique between people — even identical twins! So the next time someone calls you unoriginal, just stick your tongue out at them and show ’em how special you are! A baby has over 300 bones at birth, but adults have only 206. So what gives? Did you just lose some bones and not realize it? Nope! Actually, many of the bones in a baby’s body fuse together to create bigger, mega-bones (not a medical term), and that’s how you end up with only 206 in adulthood. Babies are born exhibiting a number of fascinating reflexes, including the ability to walk on a flat surface (as long as the baby’s body and head are supported). Another baby superpower is called the Palmar Grasp, which allows the baby to grab onto an object with surprising strength. In fact, some babies can even support their own weight (although we don’t advise trying to recreate the picture above). And speaking of superpowers, here’s a shout out to your liver, which is basically the superhero organ of the human body. Your liver performs over 500 functions, including producing bile and cholesterol, removing bacteria from the bloodstream and — of course — clearing the blood of toxins from drugs and alcohol. Keep that in mind next time you complain about working overtime. 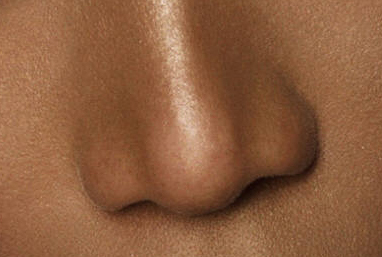 And if that’s not impressive enough for you, it’s recently been discovered that your nose can smell at least 1 trillion scents, making it the most sensitive organ in the body by a large margin. However, I think we can all agree that there are some scents you might be better off forgetting. It’s called the Mammalian Diving Reflex, and it is seriously one of the coolest things your body is capable of. When you splash cold water on your face, your body thinks it’s going for a swim, and prepares accordingly. First, your heart rate slows down 10-25%. Then the blood vessels in your extremities constrict and send more blood to your lungs. As a result, you use up less oxygen and — if you were swimming — would be able to stay underwater longer. Ounce for ounce, human bones can withstand a lot more pressure than steel. In fact, a cubic inch of human bone could bear a load of 19,000 pounds! Bones are also a lot lighter, less dense and more flexible than steel, which makes them a great material for, you know, supporting your entire body. Steel wins when it comes to building materials, though, because using bones would be a little too spooky. Like, a lot of saliva. In fact, throughout the course of your lifetime, the amount of saliva you produce could fill the Olympic-size swimming pool pictured above…twice. Maybe even more if you spend a lot of time thinking about Warhead candies. A single strand of hair can support about 100g (which is equal to about two candy bars). But twisted together, one person’s entire head of hair (consisting of about 150,000 individual strands) could support 12 tons of weight — that’s the weight of 2 elephants! Not only is hair very strong, it’s also virtually indestructible. Aside from being flammable, hair won’t break due to extreme temperatures, and it’s also resistant to a lot of acids and other corrosive chemicals. Although hair doesn’t easily break, you still lose between 60 and 100 strands of it every day. Think of how many elephants you could be lifting if you didn’t! This reflex, known as the Photic Sneeze Reflex, is present in 18-35% of the population, and it causes people to sneeze when exposed to a change in light intensity (such as leaving a dimly lit building on a sunny day). Sneezing can also occur in some people after eating spicy foods, or even when they’re full after eating. This phenomenon is not completely understood, but we’re pretty sure it’s the lamest superpower ever. While your eyes remain the same size throughout your entire life, your ears and nose will continue growing as you get older. This is partially due to the fact that they are made out of cartilage (rather than bone), but is mostly as a result of gravity. So they’re not actually growing as much as sagging. Regardless, you’ll be able to tell your grandkids “all the better to hear you with,” so that’s pretty cool. Since fat is essentially an endocrine organ, it needs a supply of blood to function. So, as fat is added to your body, your body in turn constructs blood vessels and capillaries to provide blood to the fat cells. For each pound of fat, your body creates 7 miles of blood vessels, and that means your heart has to work harder to pump blood throughout your body. This is part of the reason why obesity is often linked to heart disease, and is also part of the reason why we’re having a salad for lunch.